Linda has over 20 years’ experience as a senior child and adolescent psychotherapist working for the NHS within Child and Adolescent Mental Health Services (CAMHS). She sees clients ranging from pre-school age through 30 years of age. Linda offers psychotherapy for a wide range of symptoms including depression, anxiety, school refusal, sleeping issues, self harm, eating disorders and bereavement. Please enquire regarding other conditions and symptoms. 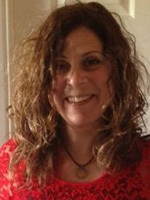 Linda is trained as a psychoanalytic psychotherapist. Psychoanalytic psychotherapy looks at the meaning and reasons behind the presenting issues, exploring triggers and events from the past which remain unresolved and then impact everyday life. The therapy works through these underlying issues in order to help the client lead a happier and fulfilling life. Linda is sensitive to the unique nature of each and every client she works with. Within her psychoanalytic framework she tailors the therapy to each client. Some will benefit from a short term intervention whilst others will need a longer term, open ended approach. Linda provides a gentle, neutral and containing space for her clients where they can explore with her their thoughts and feelings, working towards her clients coming to terms with their difficulties and being able to reach their emotional potential in life. Linda Steiner is not accepting new clients for the foreseeable future. To be connected to an available therapist please use the Appointment Enquiry form.